All-mahogany design with a Honu turtle engraving on top at an entry-level price. 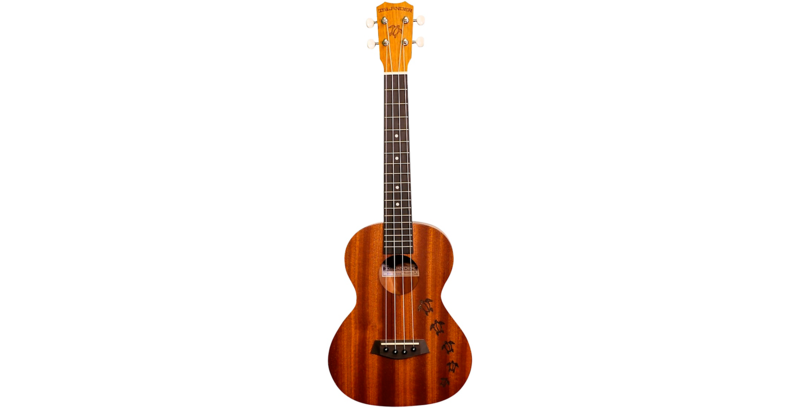 Islander's MT-4 HNS is a traditional tenor ukulele with a mahogany top featuring an engraved Honu turtle design, mahogany body, okume neck with walnut fingerboard, walnut bridge with black ABS pins, NuBone nut, open gear tuners with black knobs, and a natural satin finish. Become an Islander...player. Order one of these fun ukes today.